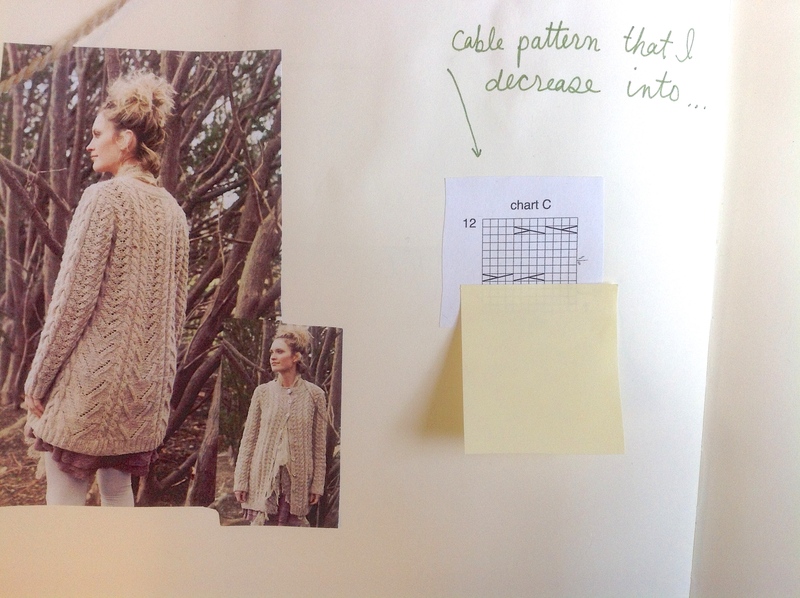 I’ve demonstrated a few instances of decreasing in pattern and I thought I was finally starting to get it. 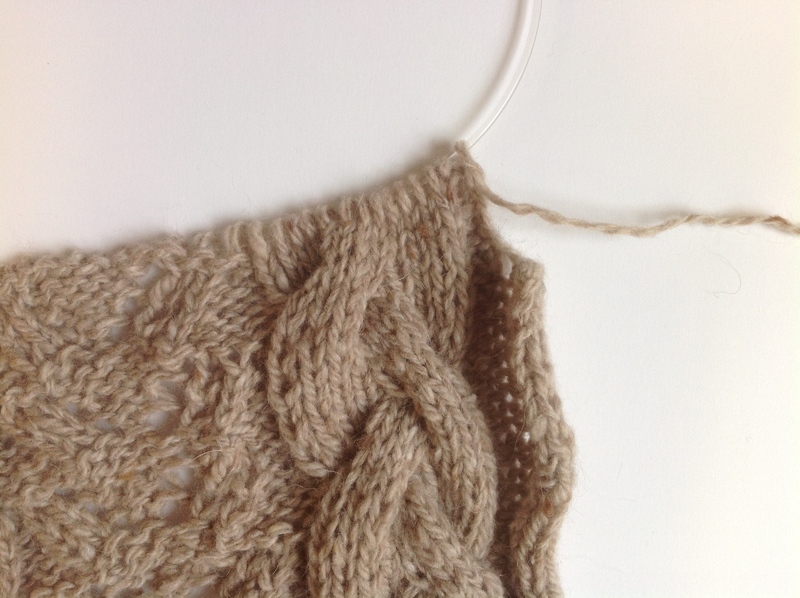 But as I approached the armhole decrease in Fleta (the latest project on my needles) I realized I was totally in over my head. Decreasing into a cable can be confusing. 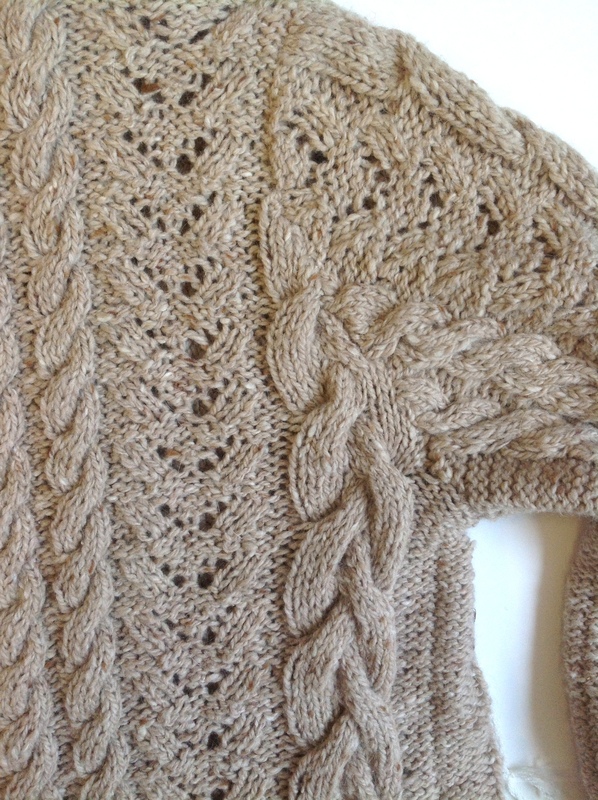 Lucky for me, we have a sample of the sweater in the office and my desk is conveniently located right next to the designer! 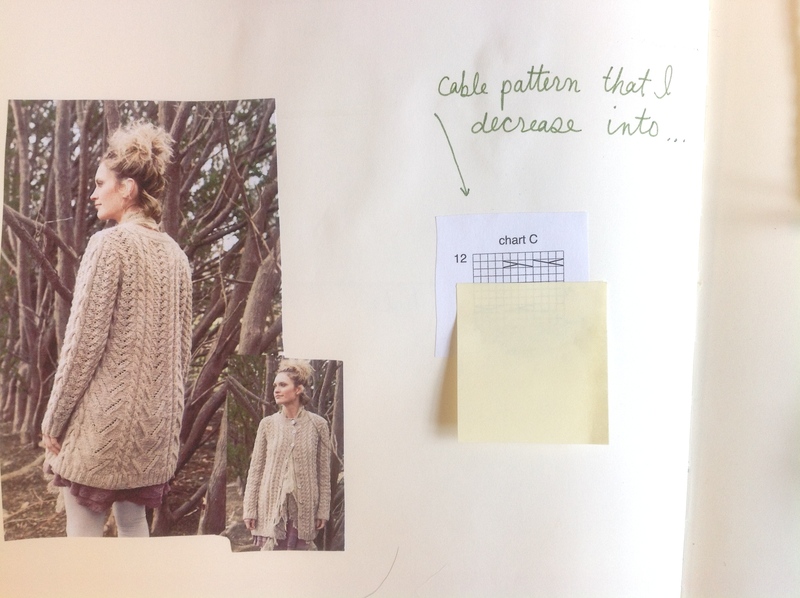 I learned that I had to let go of the idea my pattern was going to tell me exactly what to do. The pattern explains a lot, but there is a lot that we have to figure out ourselves too. After I accepted this, I gave decreasing another try. Here I have reached the cable. 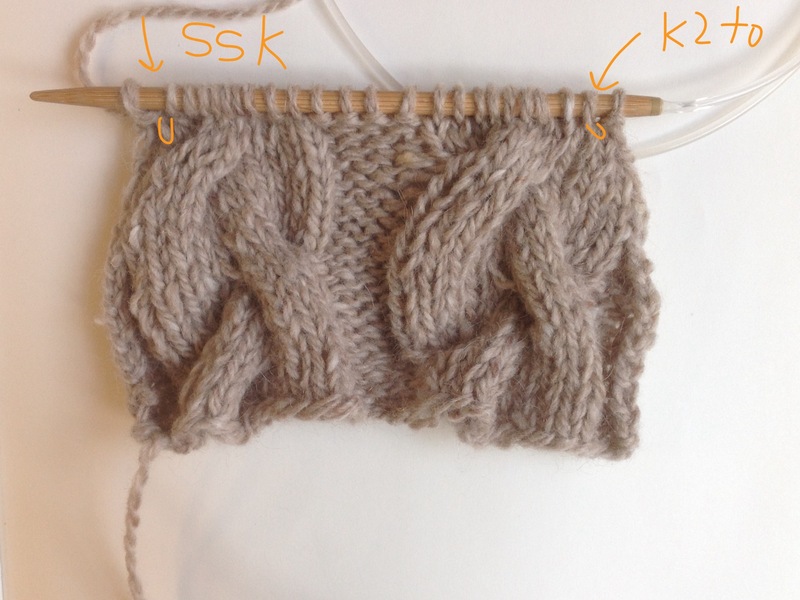 I change my decrease to p1, k2tog on my right side cable and ssk, p1 on the left side cable. My decrease blends into my cable nicer this way. Just continuing to decrease here, as my row just asks me to knit. I decided to p1, k2tog, k2, hold 4 on cable needle in back, k4, k4 from cable needle, doing my best to continue the movement of the cable with the number of stitches I still had. 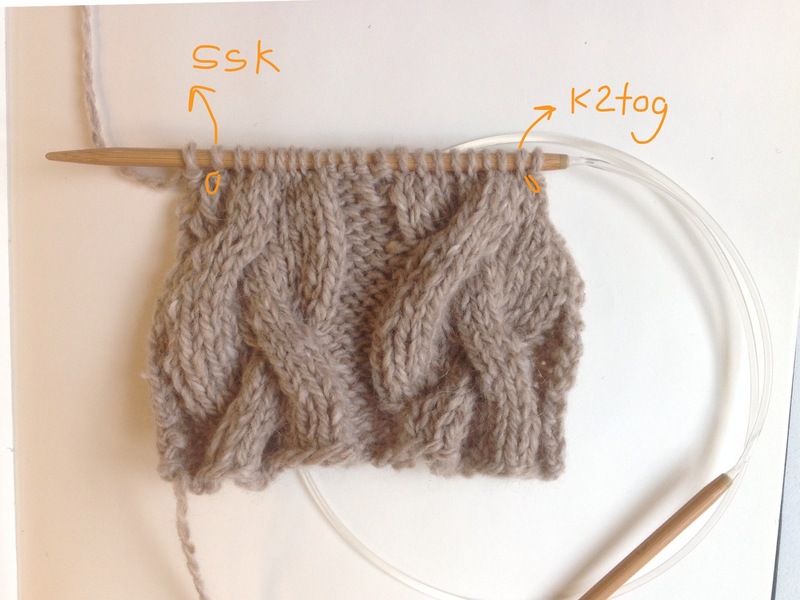 For the left side, I decided to knit 4, hold 4 on cable needle and hold in back, knit 3 sts, k2 from cable needle, ssk, p1, doing my best to keep the cable matching the opposite side. 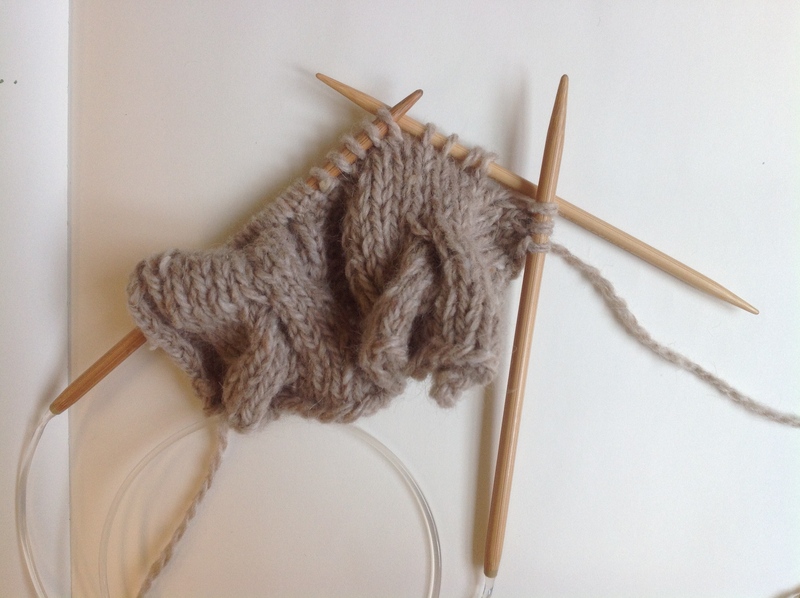 Just knitting and decreasing here! 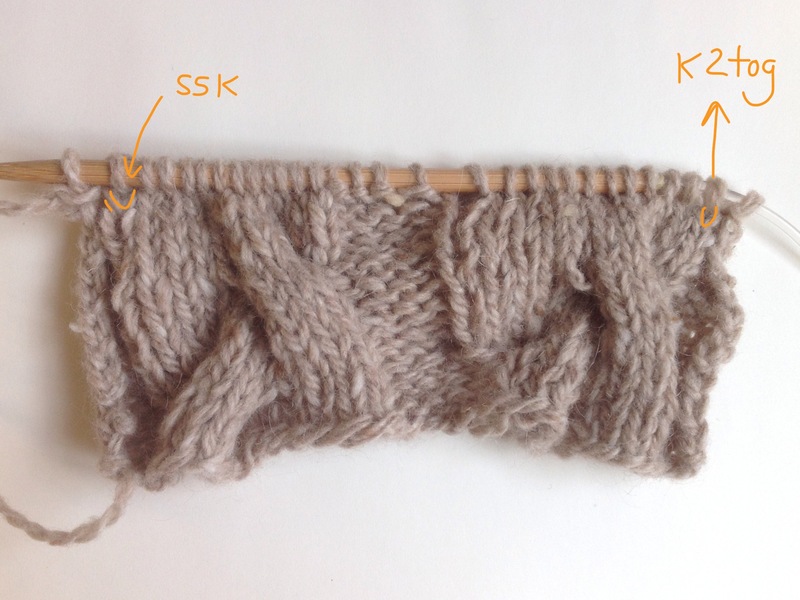 The lesson that I have taken from this pattern decreasing is to really look at your knitting. 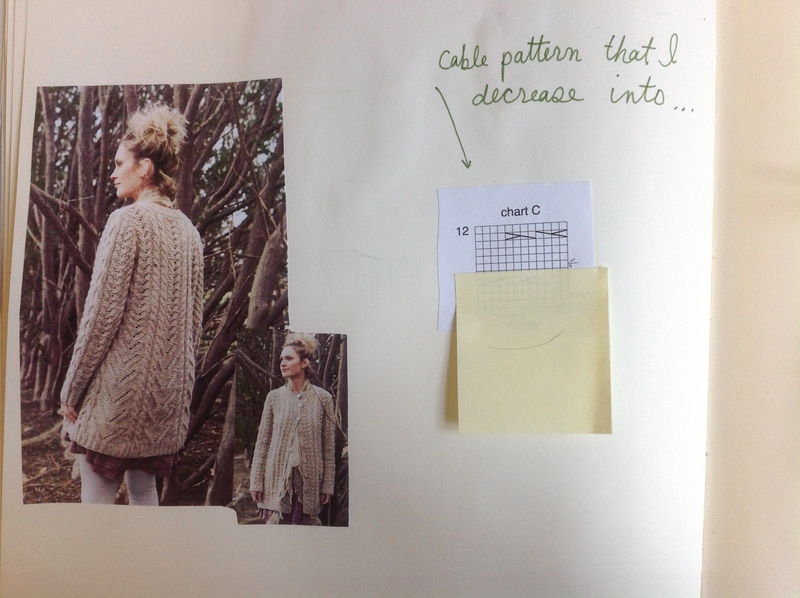 Let your knitting tell you what needs to be done. What looks good? Is my pattern symmetrical? 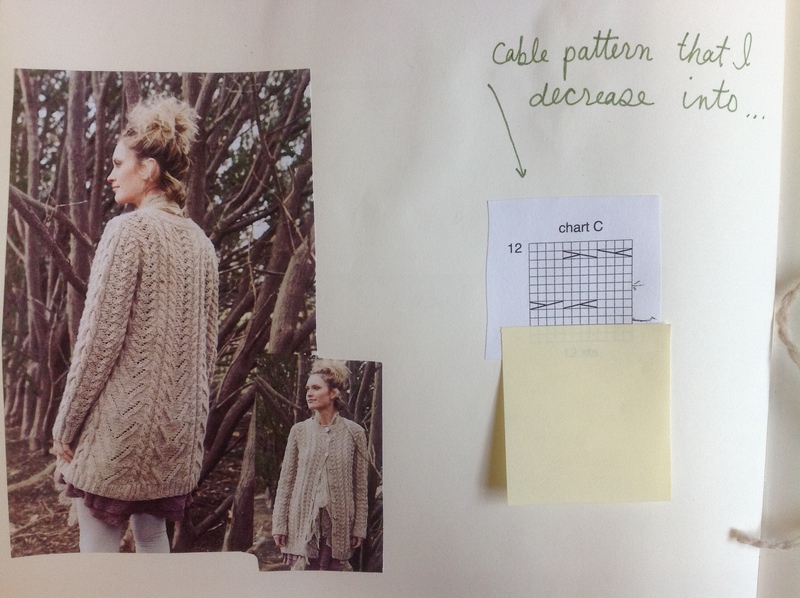 How can I make my decrease in pattern symmetrical? To the best of my ability, I needed to continue cabling my large cable and decreasing into the side. 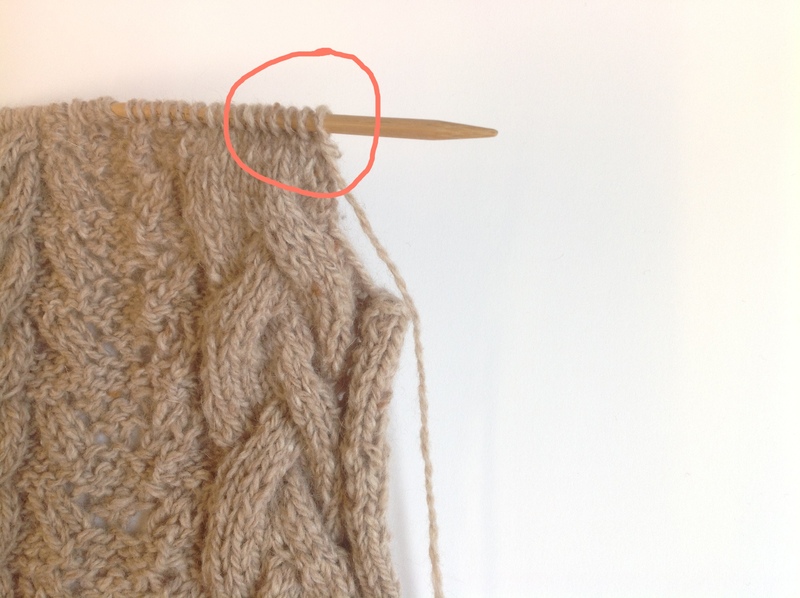 I continued to do that until there were only 7 stitches left in my cables. Then I just continued to decrease and not cable until the cable was gone. 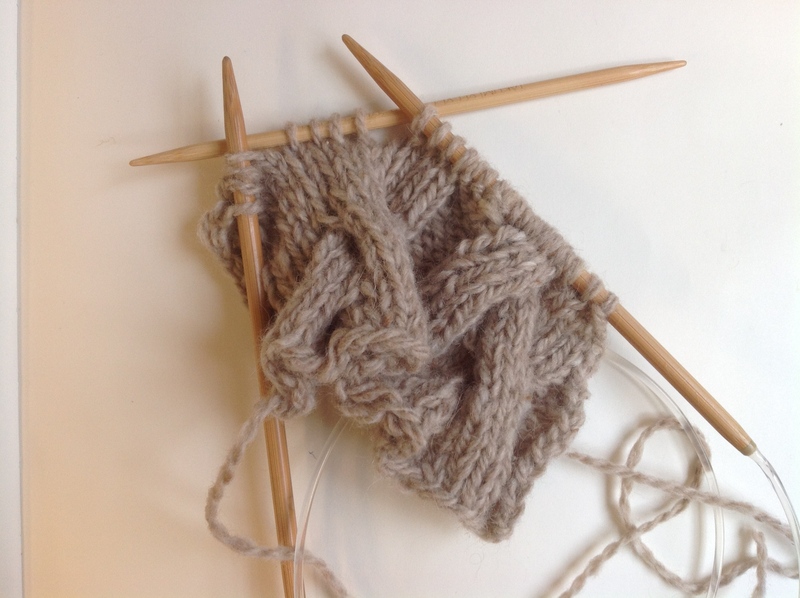 Every pattern will be a little different, of course, but if you learn how to combine the pattern instructions with what your knitting is telling you, it will all work out. It’s actually pretty freeing! I hope this helps you with your next pattern. 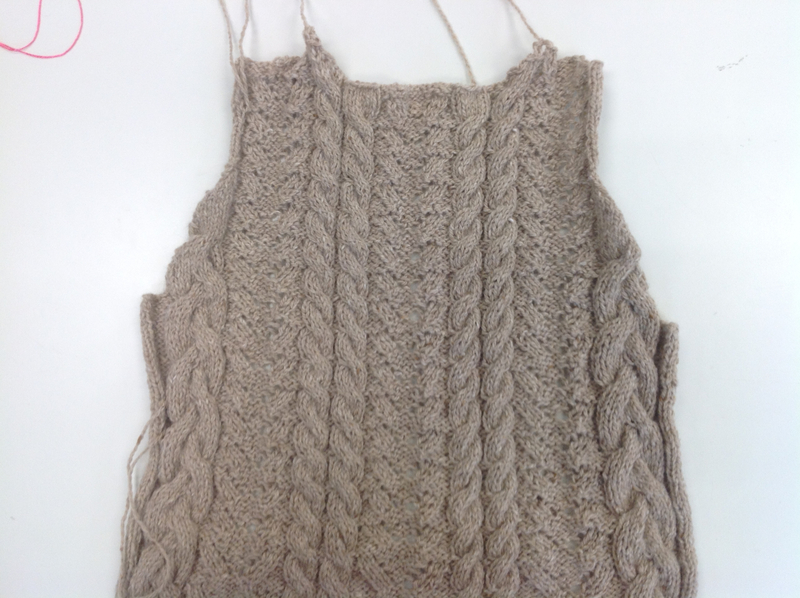 Previous article Amy’s Thread: Finished Object! !